Snapchat advertisers are about to find out if offline data can drive better campaigns on the app. After forging measurement partnerships and data partnerships with companies like Moat, Nielsen and Millward Brown over the past year, Snap Inc. has now signed a deal with Oracle Data Cloud (formerly Datalogix) to arm marketers with more intelligence. The partnership entails Oracle's data from offline purchases—like stats from a loyalty card program—that will be used to target consumers with relevant Snapchat ads based on products that they've purchased. Using hashed email addresses and anonymous files of mobile IDs, Snapchat matches up the data with Oracle's audiences of past purchase behavior. Honda, STX Entertainment, Kia and The Honest Company are testing the new ad-targeting tool. STX Entertainment, for example, is zeroing in on sales from movie theater tickets. "STX Entertainment continues to be impressed by how aggressive Snapchat has been in looking to solve our business challenges," said Amy Elkins, svp of media and marketing innovation at STX Entertainment in a statement. "Onboarding ODC moviegoer data eliminates marketing waste by allowing us to reach an audience that we know visits movie theaters." Meanwhile, Snapchat's bigger push is to prove that its advertising creates revenue. Snapchat also offers interest-based targeting called Snap Lifestyle Categories that serves ads to users based on what Discover and Live Stories content they watch across 60 categories like music genres, hobbies and sports. That kind of ad buying is akin to TV and brand advertisers who buy media based on interests and reach. 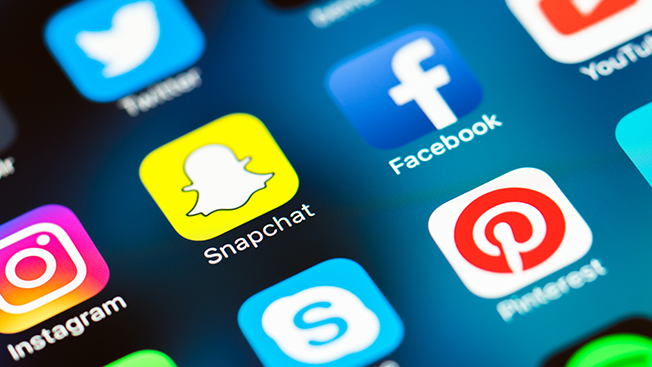 Now, with the addition of Oracle Data Cloud, Snapchat could be opening the ad spigot to categories like consumer packaged goods, retail and auto that heavily lean on offline purchase data. Snapchat parent Snap Inc. now has 15 such partnerships with measurement firms, but the Oracle deal is noteworthy since it's the first time Snapchat has opened up its platform for third-party data. Facebook, Twitter and Pinterest advertisers also use Oracle Data to track if a digital promo led to an offline sale. Facebook pioneered the tactic a few years ago by partnering with Datalogix.